Scientists at the University of Washington Medicine‘s Institute for Protein Design (IPD) in Seattle, Washington, have created a new protein that mimics the action of a key immune regulatory protein, interleukin 2 (IL-2). In the development of the new protein, the scientists used a de novo computational approach for designing proteins that recapitulate the binding sites of natural cytokines, but are otherwise unrelated in topology or amino acid sequence. The resulting product bind to the IL-2 receptor βγc heterodimer (IL-2Rβγc) but has no binding site for IL-2Rα (also called CD25) or IL-15Rα (also known as CD215). Il-2 is a naturally occurring cytokine which was first discovered in 1976 by Doris A. Morgan, et al. It is produced by activated T lymphocytes (T-helper cells) in response to antigenic or mitogenic stimulation. IL-2 has a range of immunomodulatory activities central to the body’s direct and antibody-dependent or humoral immune response. Recombinant Human Interleukin 2 (rIl-2), also known as aldesleuking* (branded as Proleukin®) which structurally differs from endogenous Il-2**, is a potent anticancer drug and an effective treatment for autoimmune disease Il-2. 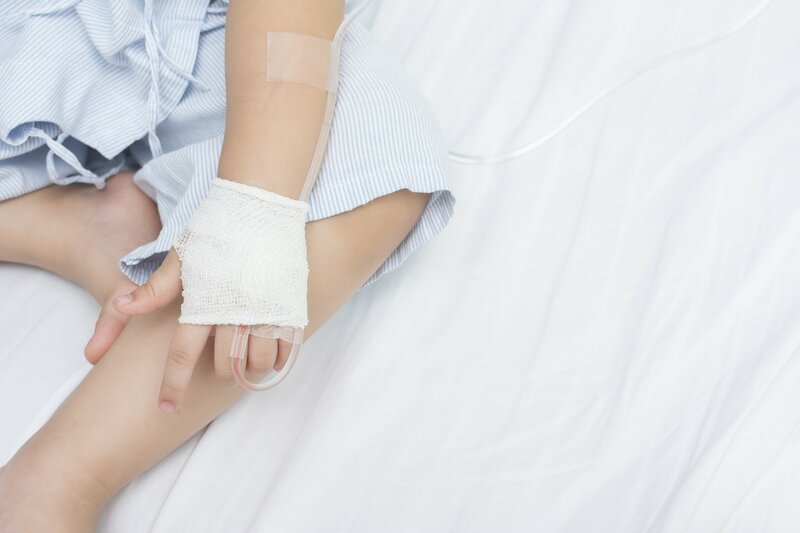 However, toxic side effects, which include life-threatening and sometimes fatal vascular leak syndrome (VLS), as well as by its short half-life, requiring courses of dosing of three times per day over eight days, have limited its clinical usefulness of aldesleukin. The ongoing development of Interleukin-2-like agents have met with a number of failures. 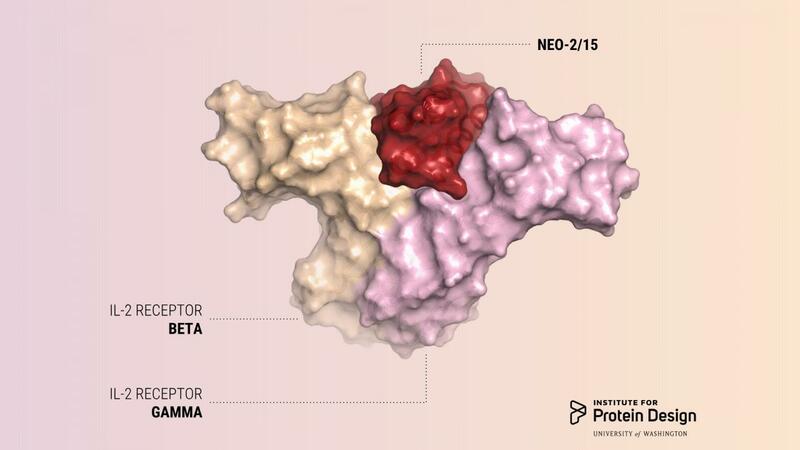 Nektar Therapeutics’ investigational agent NKTR-214, a CD122-biased cytokine agonist conjugated with multiple releasable chains of polyethylene glycol (PEG) designed to provide sustained signaling through the heterodimeric IL-2 receptor pathway (IL-2R) to preferentially activate and expand effector CD8+ T and NK cells over regulatory T cells (Treg), has, for example, failed as a monotherapy. 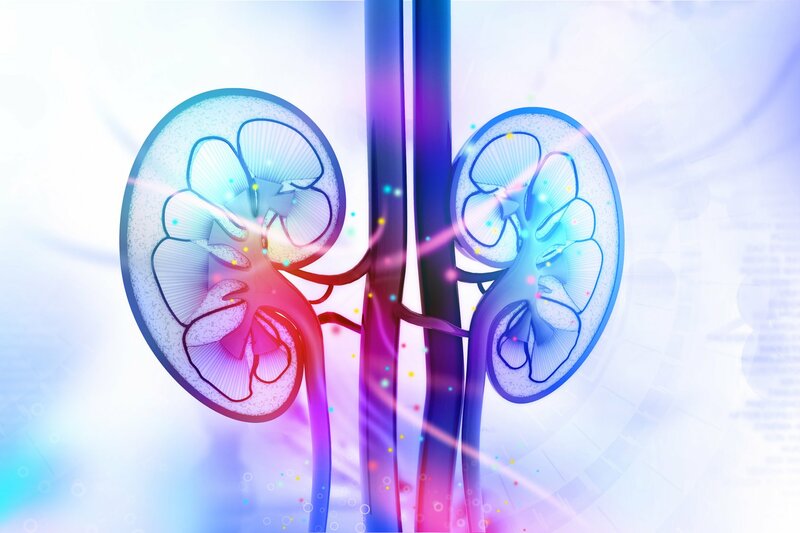 Results from a Plainview report, published in October 2018 and refuted by the company, suggest that NKTR-214 does not work because its therapeutic effect is too weak. The report further indicated that NKTR-214 monotherapy posted a 0% ORR (0/28) in the EXCEL trial, contrasting IL-2 monotherapy which has historically achieved a 15-29% Overall Response Rate or ORR. In another study, the phase I/II PIVOT trial, the authors of the report note, researchers demonstrated that while a 200-300% increase in lymphocytes is required for IL-2 to achieve a clinical response, NKTR-214 only induced a 33-50% increase in lymphocytes. Furthermore, top-line data from a phase I/II trial combining NKTR-214 with nivolumab (Opdivo®; Bristol-Myers Squibb) also showed a reduced ORR. The development of another interleukin-2-like agent, Alkermes’ investigational agent ALKS 423, an engineered fusion protein comprised of a circularly permuted interleukin-2 (IL-2) and IL-2 Receptor (IL-2R) α designed to selectively activate the intermediate-affinity (ia) IL-2R, comprised of IL-2Rβ and γc has met limited success. 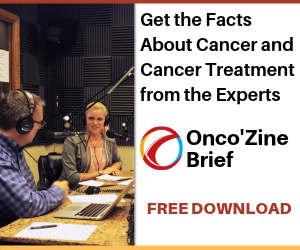 “The selectivity of ALKS 4230 is designed to leverage the proven anti-tumor effects of existing IL-2 therapy while overcoming its limitations. These initial data from our phase 1 study demonstrate the unique mechanism of ALKS 4230, with dose-dependent pharmacodynamic effects on circulating natural killer cells and CD8+ T cells and minimal and non-dose dependent effects on immunosuppressive regulatory T cells,” noted Craig Hopkinson, MD., Chief Medical Officer and Senior Vice President of Medicines Development and Medical Affairs at Alkermes. Based on data from initial monotherapy dose-escalation cohorts the company, in September 2018, expanded the development of ALKS 423 in a monotherapy setting at the 3 µg/kg/day dose, to include pembrolizumab (Keytruda®; Merck & Co), a PD-1 inhibitor (NCT02799095). Alkermes also continues dose escalation in the monotherapy setting. Synthorx, a biothechnology company using a proprietary, first-of-its-kind Expanded Genetic Alphabet platform technology, is developing THOR-707, a ‘not-alpha’ Synthorin™ of interleukin-2 (IL-2), for the treatment of solid tumors. In preclinical studies, THOR-707 induces molecular markers of T cell activation and the proliferation of peripheral NK and CD8+ effector T cells in vivo. However, even at high dosing THOR-707 has minimal effect on molecular and clinical markers of VLS, a toxicity associated with aldesleukin. Analysis of the effect of THOR-707 in syngeneic mouse tumor models showed that THOR-707 induced infiltration of CD8+ T effector cells into tumors and elicited anti-tumor effects alone and in combination with a PD-1 immune checkpoint inhibitor. Synthorx is expected to start phase I clinical trials with THOR-707 in 2019. Aldesleukin (rIL-2), which is indicated for the treatment of adults with metastatic renal cell carcinoma and adults with metastatic melanoma, has been used as a last-ditch treatment for cancer patients with no other therapeutic options. For some patients with advanced melanoma or renal cell carcinoma, IL-2 can achieve cure rates as high as 7%. Its use is, however, limited because it can be given safely only to the healthiest patients and only in intensive-care units at specialized medical centers. 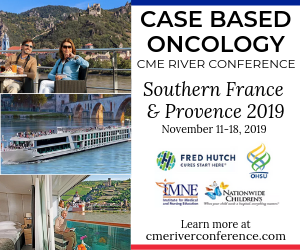 Data published from the Proclaim (PROleukin Observational Study to Evaluate the Treatment Patterns and Clinical Response in Malignancy; NCT01415167) patient registry, a collection of ongoing, real-world data on the use of aldesleukin across 40 participating sites consisting of immunotherapy treatment centers and community oncologists, confirmed a potential therapy-enhancing role for rIL-2 (aldesleukin) when sequenced with checkpoint inhibitors directed against the cytotoxic T lymphocyte antigen (anti-CTLA-4) ipilimumab (Yervoy®; Bristol-Myers Squibb) and programmed death receptor-1 (PD-1) pembrolizumab or nivolumab pathways. Interleukin-2 acts on two kinds of immune cells by binding to receptors on the cells’ surface. The effect IL-2 has on a cell’s behavior depends in large part on the number and nature of these receptor interactions. Aldesleukin interacts with the high‐affinity IL‐2 receptor expressed on cells of the immune system and stimulates a cytokine cascade involving various interferons, interleukins, and tumor necrosis factors (TNF) and along with other cytokines induce proliferation and differentiation of B and T‐cells, monocytes, macrophages, and cytotoxic lymphocytes which include natural killer (NK) cells, cytotoxic T‐cells, tumor‐infiltrating lymphocytes (TIL), and lymphokine‐activated killer (LAK) cells. Although the exact mechanism is still unknown, the anti-tumor activity is believed to result from activation of cytotoxic lymphocytes. Furthermore, whether aldesleukin acts directly or through second messengers also remains unclear, however, the drug does elevate production of interleukin‐1, tumor necrosis factors alpha and beta, interferon gamma, and interleukin‐6. Natural IL-2 can activate cells with beta and gamma receptors responsible for anti-tumor activity, which is exactly what the patient would want. However, natural IL-2 preferentially binds to another kind of immune cell which has alpha receptors in addition to beta and gamma receptors. These cells cause disastrous side effects like severe toxicity and immunosuppression. Unfortunately, to date, all approved IL-2 therapies, including aldesleukin, cause preferential activation of these off-target cells. Image 1.0: Neoleukin-2/15 (Neo-2/15), a new immunotherapy drug, is designed to fight cancer while avoiding common side effects. This illustration depicts how the new protein, in red, binds only to the beta and gamma receptors, and not to cells with a third kind of receptor. In a paper in the January 10, 2019 issue of the journal Nature, the researchers report using computer programs to design a protein that they have shown in animal models to have the same ability to stimulate cancer-fighting T-cells as the naturally occurring IL-2, but without triggering harmful side effects. The new protein has been dubbed neoleukin-2/15 (Neo-2/15) because, in addition to mimicking the effect of IL-2, the protein can also mimic the effect of another interleukin, IL-15, which is being studied as another possible anticancer immunotherapy. “People have tried for 30 years to alter IL-2 to make it safer and more effective, but because naturally occurring proteins tend not to be very stable, this has proved to be very hard to do,” noted Daniel-Adriano Silva Manzano, Ph.D, one of the lead author of the paper and a biochemist at the University of Washington’s Institute for Protein Design. Silva Manzano explained that the newly designed protein is hyper-stable, bind human and mouse IL-2Rβγc with higher affinity than the natural cytokines, and elicit downstream cell signalling independently of IL-2Rα and IL-15Rα. “Neo-2/15 is very small and very stable. Because we designed it from scratch, we understand all its parts, and we can continue to improve it making it even more stable and active,” Silva Manzano added. “Neo-2/15 has therapeutic properties that are at least as good as or better than naturally occurring IL-2, but it was computationally designed to be much less toxic,” said another lead author, Umut Y. Ulge, MD, Ph.D, an internal medicine physician and biochemist. In contrast to existing and approved versions of interleuking-2, Neo-2/15 does not preferentially bind to the harmful cells. This protein enables activation of on-target tumor-fighting cells without preferentially activating the off-target cells responsible for toxicity and immunosuppression. The published finding shows that designing proteins from scratch can lead to bio-superior molecules with enhanced therapeutic properties and lesser side effects for virtually any biological molecule whose structure is known or can be predicted, said lead researcher and institute director David Baker, Ph.D. He is a University of Washington School of Medicine professor of biochemistry and a Howard Hughes Medical Institute investigator. To design a cancer-fighting protein that would not cause significant adverse events, the researchers used a computer program developed in the Baker lab called Rosetta. Using Rosetta, the researchers designed their protein to have surfaces that would bind to and activate IL-2 receptor beta and gamma, but not the IL-2 receptor alpha, which is part of the harmful cells. First, researchers designed compact proteins to serve as scaffolds for holding the two binding sites in proper position. Then they optimized the amino acid sequence of the best scaffolds. This effort resulted in a final compact protein that is completely different from natural IL-2. In laboratory and animal models it avidly bound to IL-2 receptor beta and gamma, activated cancer-fighting immune cells, and slowed tumor growth. Because the designed protein had no binding site for the alpha receptor, effective doses of Neo-2/15 did not cause toxic side effects. There is, no doubt, a long way before the investigational agent Neo-2/15 enters the clinic, but the scientists believe in this novel approach. Following optimization, thy expect that Neo-2/15 could be ready to enter clinical trials in a few years. Proleukin® Product Monograph – State-of-the-art treatment with interleukin-2; 2000 – Chiron BV. ** Proleukin® was initially manufactured by Chiron and marketed by the Cetus Oncology (in Europe called EuroCetus), which developed the product and filed the Product Licensing Agreement (PLA) in November 1988 as Cetus. Chiron acquired Cetus in 1991 and in 2006 Novartis acquired Chiron. The company sold it’s Proleukin® rights in the United States to Prometheus Laboratories, a division of Nestle Health Science, in 2010 and ex-U.S. rights to Clinigen in 2018. Early on in the development of interleukin-2, Roche marketed an IL-2 product called, Teceleukin® (methionyl IL-2 or Met-IL-2, which has an additional methionine residue at the amino terminus). The company licensed its IL-2 from Ajinomoto and had a co-development agreement with Immunex. Ajinomoto patented its rights to interleukin-2 based on the pioneer work of Tadatsugu Taniguchi, Ph.D, who, while working under a license agreement with Ajinomoto and the Japanese Foundation for Cancer Research in 1982, became the first scientist to clone and publish the genetic sequence for the human IL-2 gene. Featured Image: Neoleukin-2/15 (Neo-2/15). Courtesy: © 2010 – 2019 Institute for Protein Design. Used with permission. Image 1.0: Neoleukin-2/15 (Neo-2/15), a new immunotherapy drug, is designed to fight cancer while avoiding common side effects. 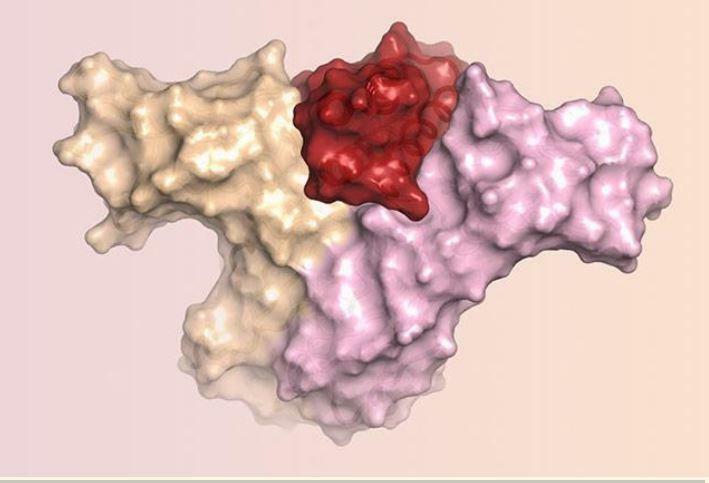 This illustration depicts how the new protein, in red, binds only to the beta and gamma receptors, and not to cells with a third kind of receptor. Courtesy: © 2010 – 2019 Institute for Protein Design. Used with permission.